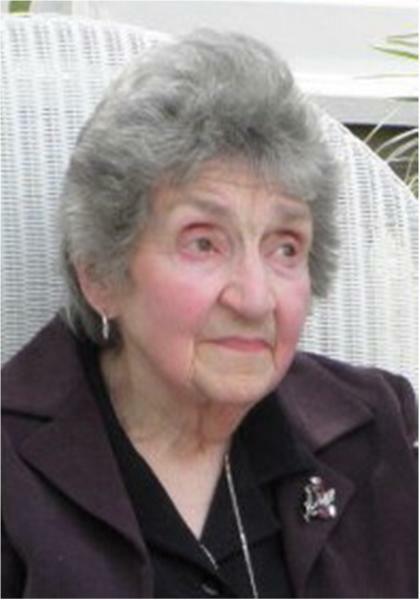 Ruth Eileen Jordan, late of Weyburn, SK, passed away on September 2, 2018 at the age of 88 years. Ruth was predeceased by her parents: Peter and Mrytle Smith; her husband Albert “Ab” Jordan; brother George Elverne Smith; her sons: Neil and Allan Jordan and her daughter Yvonne Jordan. Ruth is survived by her children: Beth Jordan, Grand Manan Island, NB and her family: Sarah Telford (Spencer Thelland) Ottawa, ON and their son [Edward],Jessica Telford (Nigel Hood) Edmonton, AB and their family [Ferguson, Ramona], Kristin Telford (Ryan Janke) Weyburn and their son [Jordan]; Cheryl Jordan, Weyburn, and her family: Rachel Jordan Leduc, AB and family [Daecin and Dazyk], Tannis Jordan, Leduc, AB and family [Nataliah, KoDeth, Kyzin, Kingston and Dustyce], Tarrin Jordan, Okotoks, AB, Cole Jordan, Weyburn; David (Linda) Jordan, High River, AB; brother, Ben (Bernadette) Smith, Calgary, AB; sister Carole Smith, Melville; as well as several nieces and nephews. Visitation was held Friday, September 7, 2018 at 7:30 p.m. - 9:00 p.m. from RD Family Funeral Chapel, Weyburn, SK. A Funeral Service for Ruth was held Saturday, September 8, 2018 at 1:00 p.m. from All Saint's Anglican Church, Weyburn, SK, with Rev. Brian Woods officiating. Active Pallbearers were: Rob Ror, Brian Smith, Randy Telford, Eric Satre, Jeff Bohnert and Cole Wetten (Jordan). Honorary Pallbearers were Dean Ror and the Canadian Mental Health Work Crew. Luncheon was at Know Fellowship Hall, Weyburn, SK with Interment following at Goodwater Cemetery, Goodwater, SK. For family and friends so wishing, charitable donations in memory of Ruth may be made to the Canadian Mental Health Association, Weyburn Branch, 404 Ashford Street, Weyburn, SK, S4H 1K1.